Following on from the Christmas Gift Guide for Him (which you can see here), this is the version 'For Her', and it's packed with such amazing goodies that I have either treated myself to or am dying to own! Last year I did separate For Her guides based on age and interests, but I decided to group this one together as all of these things are lust-worthy gifts and items that any woman of any age would appreciate. I have made little notes below each item to let you know the details (pricing and where you can buy it) and why I love it! Have a Merry Christmas for those of you who celebrate it, thank you for sticking around here despite my erratic blogging :) I will see you all in the new year! I love this recipe book. It's vegetarian dishes, which I love as I have a lot of vegetarian friends and often like to eat 'meat-free'. The book is also great for side dishes when you are having a braai and want an interesting salad to accompany your meal. Ottolenghi is hands-down my favourite chef! This is limited edition and comes out each Christmas. It is my best body wash from Lush - so feminine and pretty! The large bottle will last you for pretty much the whole year! The perfect summer beach tote to take to the beach - it's spacious and neutral so will suit any look! I love the texture of this tote, something different! These copper salad servers come in the beautiful Christmas packaging from Country Road. I also think the price point is really good and who doesn't love a touch of copper in the kitchen. The perfect entertaining accessory! You have heard me harp on about the Clarins Lip Comfort Oils and you can be rest-assured that anyone would love to be gifted with one of these! They come in 3 shades (the shade pictured in Raspberry) and are super hydrating, whilst leaving lips plump and with a touch of colour. These won;t be suited to everyone, but are such a classic and popular style. I love the tortoise shell and think it's so flattering on so many skin tones. Who doesn't love a Rose Gold nail polish for the festive season!? What a beautiful palette to be gifted. It doesn't get much more festive and luxury than this. The perfect gift for those beauty junkies and a lovely collectors item as this is limited edition and part of their festive collection. How beautiful is this? I would absolutely love this pouch to pop in my handbag for bits and bobs like make up and suncream. So pretty! This is pretty good value for money at R700 for 12 Vice lipstick shades. The palette is so pretty with shades to suit everyone! If you don't own a tub of Nuxe's lip balm then you clearly don't know the secret to non-chapped lips. I coat this on every eve before bed and love it! It's a best seller for good reason. There's not much to say here other than how much I love these!!! Who wouldn't want these on their bar cart or lounge table?! This would be a good option for anyone into blogging or YouTube. If the person doesn't fall into that category then this book will be pretty lost on them. Estee Lalonde is a Canadian YouTuber who has great style and a good sense of humour, Bloom is her life story. The gift for someone who has everything! You can't go wrong with this dry oil - the fragrance lasts so well on the skin, so any No 5 lover would be blown away with this limited edition product. Quite a steep price for a keyring, but think this is a cute handbag accessory. I got one of these last year and have attached it to one of my evening clutch/pouches, love the added detail. I love this limited edition, bright, fun Christmassy collection that Kiehl's have done with Jeremyville. Creme de Corps is one of my favourite body creams and would go down a treat with anyone in this fun packaging! This is pricey but oh-so-indulgent. I love this mist for summer; over my make up or just to freshen up! Perfect for your Mum or Mother-in-Law if they are into their skincare. Gorgeous jar that can be re-used once the cookies are eaten. In easy, affordable gift that anyone would be happy to receive. The newest addition to the Si family, this is the Parfum that comes on 40ml only. The juice is concentrated and to-die-for! How gorgeous are these!! For a smaller gift you could simply gift 2 of these glasses and a bottle of wine! A beautiful hat that can be worn as a fashion piece and used on the beach to protect your face. I love how simple this is and think the price is great, too. Another Christmassy limited edition nail polish. What an indulgent gift! Any beauty junkie who loves different, fun nail looks would be very chuffed with this! My favourite ballistic - I treated myself to one around this time last year and have another one stored away for Christmas eve. It's a treat and gets you into the festive spirit in no time! I got myself this cheek palette a few months ago and the shades really are lovely and full of pigment. Another treat that most girls would love! I would love these earrings. Something different. I used these items in my gift guide, but anything from Dear Rae would make the perfect gift. Have a look at their site if you want something more affordable. A classic red and from CHANEL - win! This nail polish would make the perfect gift for those ladies who wear nothing but red varnish as it would be well worth the splurge! How cute!? A good idea for someone who travels a lot and someone who loves their girly bits and pieces, no matter what age they are! A fun gift for younger girls who will be spending their summer at the pool! You cannot go wrong with this palette, honestly. It ticks every box and, in my opinion, is the only palette you really need! Every girl would be chuffed with an Aesop hand cream. A great gift for those who have everything as this isn't something you would usually buy for yourself. I know this could be an odd gift to buy someone, but if she's a make up junkie she won't be offended by a concealer as a gift as this one is THE BEST! Every girl should own one of these, you pretty much won't look back after owning one of these! Stylish and classic, I love this bag! The very best liquid lipstick on the market in my opinion. I own the red and for someone who is into wearing a classic red lip, this will be very appreciated! This fragrance is something unique, sophisticated and simply gorgeous! I love everything about it. This is from the Christmas collection for The Body Shop. The perfect scent to celebrate the best time of year! I absolutely adore these planners. 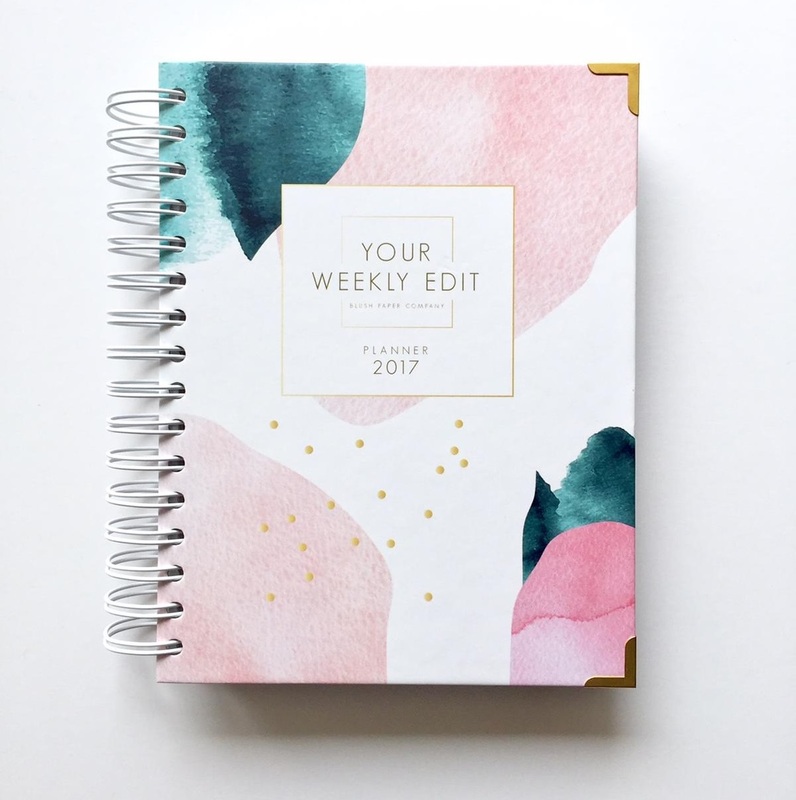 Blush Paper Co has just opened their online store and make these gorgeous planners which will ensure anyone starts 2017 on the right track! You all know how much I love Anna-Louise pyjamas, I own far too many and can't get enough of them. They make the perfect gift. I've recently bought the newest Leopard Print pair and the fabric is to-die-for! 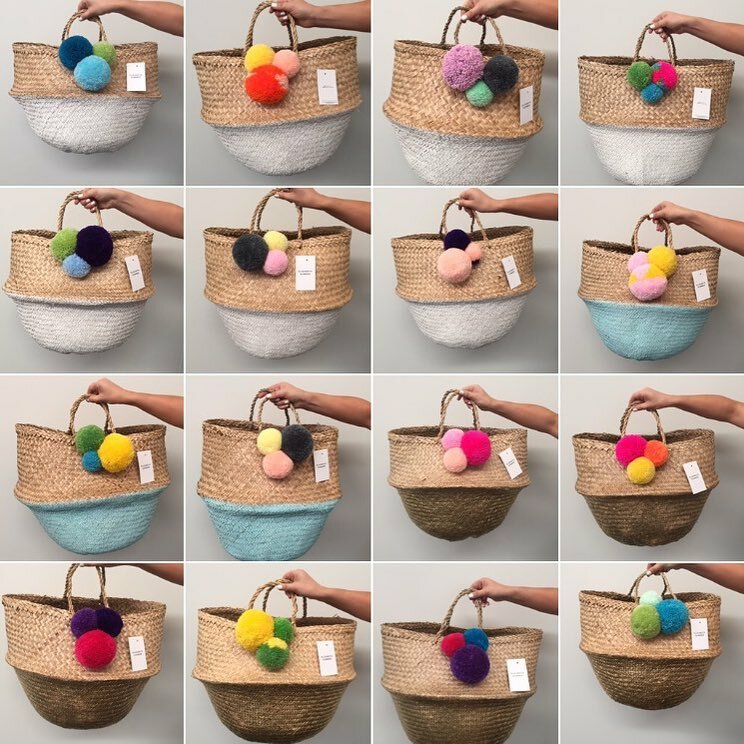 I love the Elizabeth Summer products - Jess has gorgeous wide-brimmed hats (R750) that can be personalised as well as beautiful baskets that I am dying to get my hands on! Oooohhhh, I have a few good ideas for myself over here!